AngularJS is a structural framework designed by Google that is used to declaring dynamic views in web-apps with the help of single line page HTML. It basically helps you to stretch HTML syntax in order to let the components of your apps be expressed more clearly. It is known for its dependency injection amongst developers, as like other advanced frameworks automates the larger parts of the code. Also, its data abstraction capabilities simplify app development activity and reduce development time. The simple and improved design architecture allows easy management of bulk web applications that have many components and complex requirements. It makes very easy for developers to locate and develop the code and can accommodate bulk components even up to 60 in number. The architecture makes it easy for new or pre-existing programmers in the project to locate and modify the code without much difficulty. AngularJS includes fewer code lines and lets the developer focus more on the efficiency of the application. On top of which the framework is derived from HTML and saves coders from the responsibility of coding the entire application. This is greatly realized during testing roles. AngularJS is also equipped with code re-usability feature and that saves a lot of labor as well. Data binding allows the property of a control to derive its value from any suitable property in a model. This lets efficient synchronization process between dom and model which helps to build web applications with ease. 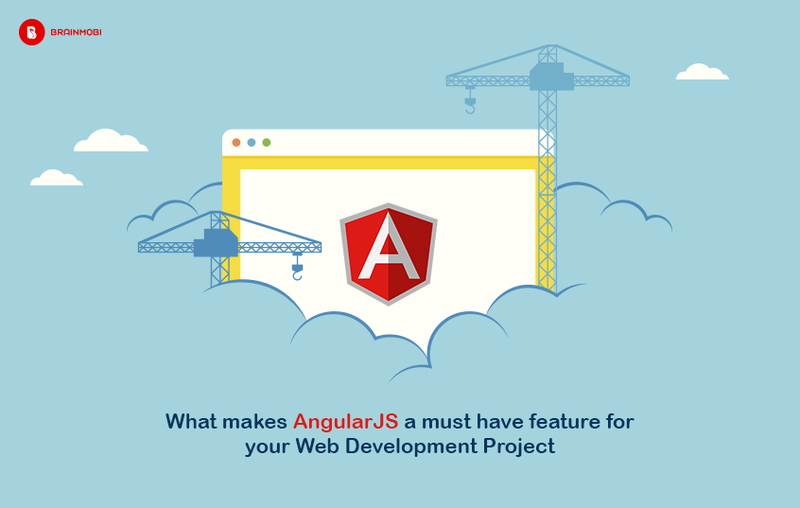 Another notable feature is the Model-View-View-Model Architecture which makes AngularJs one of the contemporary web development processes. Besides contributions coming in from the smart architectures during the development phase, AngularJS is also equipped with some convenient end-to-end and unit testing features. This gives great testing compatibilities and adds flexibility to the testing process at any phase of development. AngularJS allows parallel development is it allows developers to handle its dependencies which in turn can be coupled with the MVC architecture. Also, the inbuilt directories give the developers a free hand over HTML attributes which gives them the freedom to develop dynamic web pages. Here at BrainMobi we are perfectly versed with the practices in AngularJS and have been labelled one of the top mobile app development company on various platforms. We have hired some of the best AngularJS developers from around the world and practiced our way to becoming one of the best web development company. If you have an idea for a mobile app feel free to write to us at sales@brainmobi.com . sunny Every aspiring team of skilled professionals is incomplete without the guidance and path provider of a leader and Sunny is just that figure to BrainMobi. 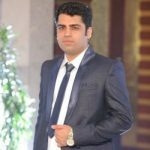 As a highly experienced techie Sunny has a terrific vision of where the best skill can be channelized and has rightfully served the purpose of meeting passionate professionalism with opportunity. His great knowledge and ability to communicate is also worth noting. Thanks for sharing the information.Very useful for me.Please keep updating on this.